I had never been here before, no idea where it was, but did remember some stories from the place when I was a grommet growing up on a windsurfing board. So when I realized the event was back on the calendar and I was clear to go, I signed up online and went for it! For those who don’t know where Rio Vista is, it’s not far from San Francisco, just a little more inland in the Delta region. Basically in the middle of nowhere, which actually makes it a really cool spot. The place is known for its ballistic winds and from May through August, there is not a day without wind. I arrived Thursday afternoon from LA, it was a long drive so I thought I’d just drive down and check it out. Yep, it was in the middle of nowhere alright, but as I arrived there was a long stretch with camper vans, motor homes etc. all with windsurfing gear rigged next to them. It was obvious that this place was popular. 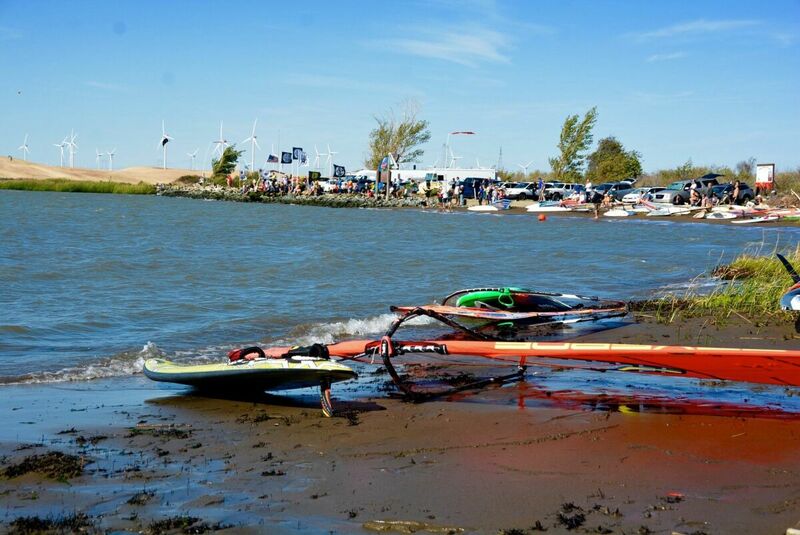 I finally got to the Delta Windsurfing shop to meet with the organizer of the event, David Mertens and his wife who both seemed very relaxed about the whole event that was about to happen –maybe because it was so well planned. I arrived Friday on the beach and I could literally park right in front of the water, open my car and drag the gear onto a nice lawn for rigging. I mean already right there, the event was amazing. It was easy to find space and even the pro sailors like Xavier with his whole range of boards and sails could find room. At any other race there is always an agenda that’s something like 4 races a day or something else. 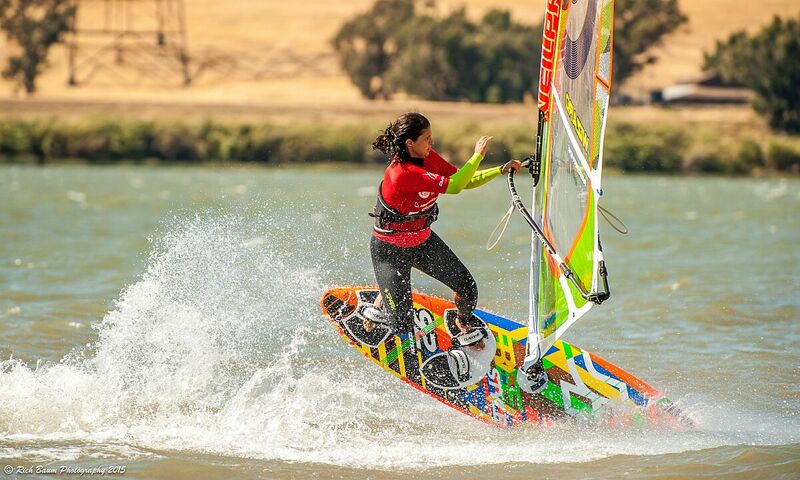 Here in at the Rio Vista Grand Slam it was a little different, but it made it a great event. It was not an event that was all about the pros but more like for everyone – it had this festival feel to it where we all meet, get to race and then kick back in the evening and enjoy. The schedule for each day was: skippers meeting, followed by 1-hr kids slalom, 1-hr slalom, 1-hr speed, 1-hr freeride, 1-hr freestyle with some lunch in-between. It changed a little every day and sometimes we had two speed sessions and slalom sessions. But the point was that we had 1 hour to do our discipline and could then relax and enjoy seeing the other classes sail. 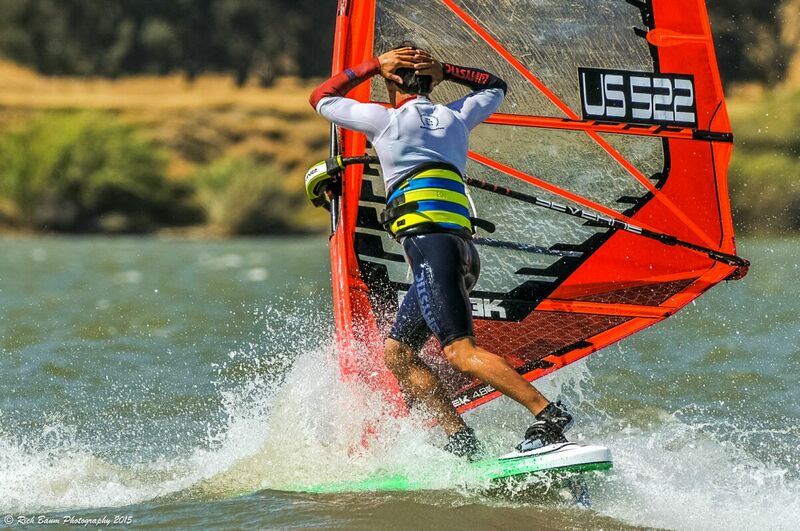 And if you think for one minute that watching freeride and seeing the kids sail is not exciting – think again. They were as competitive as the pro sailors and without a doubt having the best time out there, with big happy smiles on their faces! Kids slalom was my personal favourite. 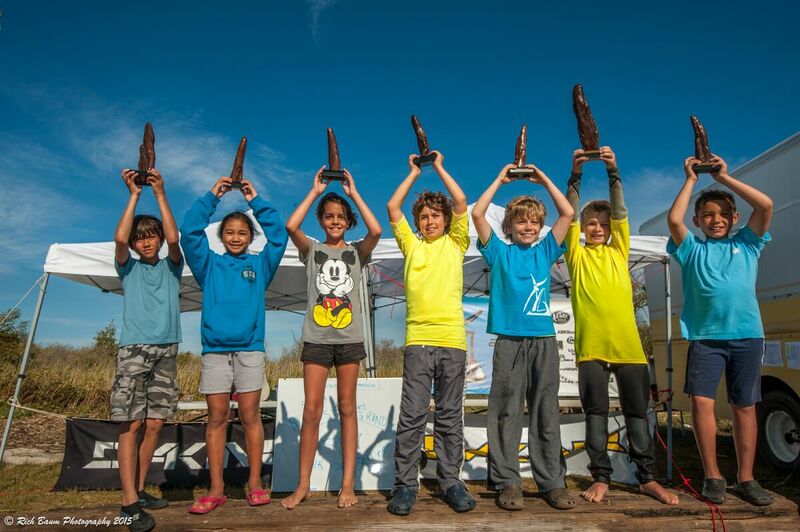 It’s the future of windsurfing and they need all the support and cheer they can get. They did put a great show on display for us all. They all lined up and when the gun went off they jumped on the board and off they went. They had to round one mark, jibe and come back. Several pros were also there in the water with them to cheer them on including Tyson Poor, Wyatt Miller, Rob Warwick and Jason Voss. It was awesome and there wasn’t a more intense place to be during the whole regatta. They were of course supported big time by all their parents, with all their intensity! All kids did an amazing job; Eric, Douglas, Tim, Yannick, Zeev, Mira, Taylor, Kenny and Sydney: you were all amazing and I am sure we will all read about your accomplishments in the future! At the end of the kids sessions, they got a special treat with a pros’ autograph session… pretty awesome souvenir for the youngest competitors! After the kids’ stellar performance the wind was good enough for speed sailing. It was pretty simple, record your best run for 10 sec. Equipped with a GPS we each got ½ hour to get that lucky gust that potentially could make us the fastest sailor of the day. 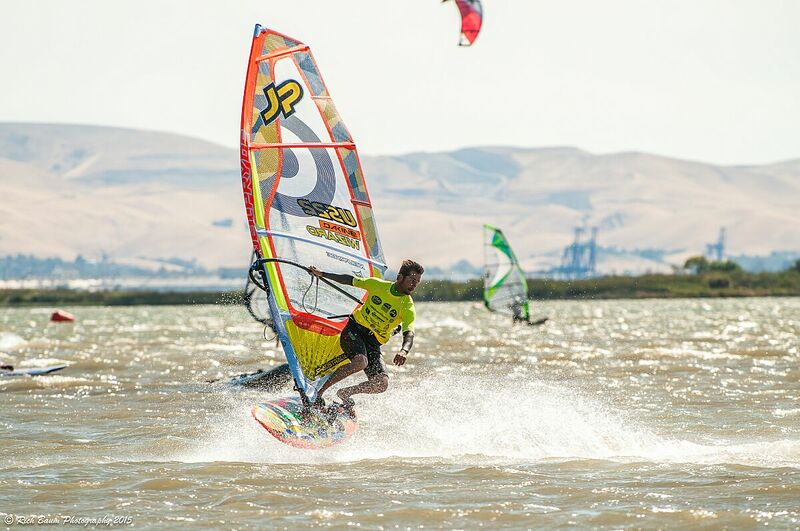 It was tricky to go really fast as the wind was teasing a little during those speed runs and nothing higher than 33.5 knots set by Tyson Poor was recorded. It was close at the top and we all tried hard, but Tyson just had that edge and got that gust and he took 1st prize for speed. Big thanks to Boris for doing the speed, getting all the “units” ready for us to use and then download all the data. It was a big job! 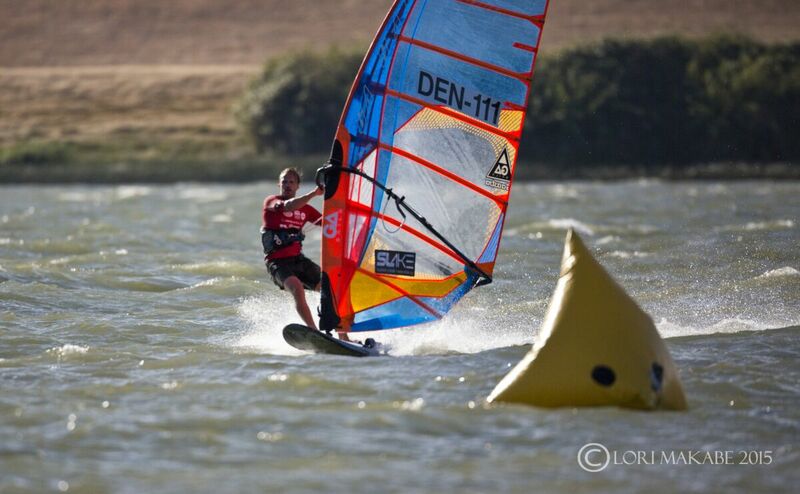 Slalom was the next discipline on the agenda and over the 3 days we had 11 races. 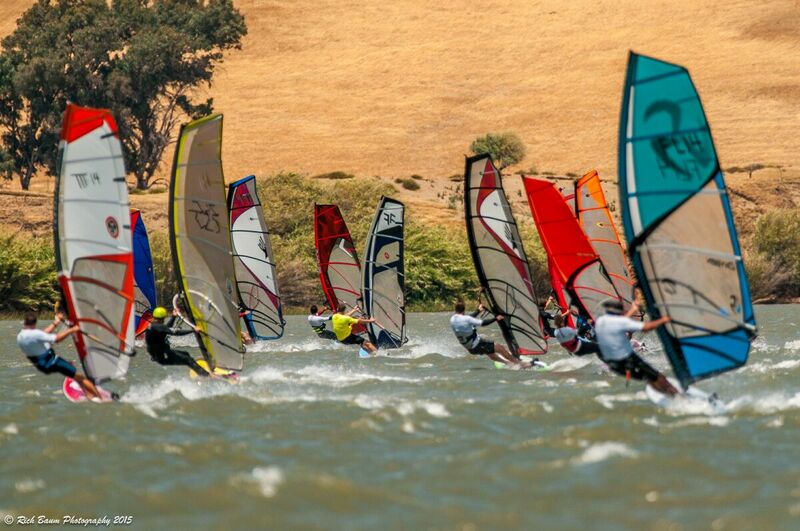 It was a simple format with an “amateur” and “pro” heat and a nice downwind course. But depending on the flooding schedule you had to pay attention to how to round the marks and line up properly for the next one. We had winds from 12-20 knots, so a little bit of everything. It was a lot of fun and we just kept going for 1 hour. David Berntsen and Josh Shirley were running away with 1st and 2nd place in the amateurs and in the Pro fleet I took 1st place followed by Tyson Poor and Xavier Ferlet. Everyone was pretty fast, but in slalom it’s not just about being fast, you also need to get the perfect start and jibe well. It was a lot of fun and 11 races is a pretty solid tally for an event. I am sure some of the racers want to train a little harder for the US Nationals coming up very soon at Cabrillo Beach ;-). Special thanks to the organizers, the boat crew and Boris who ensured that the course layout was absolutely perfect! The Freeride class was the biggest class of them all and was pretty intense to watch. Everyone started perfect from a water start position on the starting line and was going hard for the 1st mark. They had to do a figure-8 slalom course. It was always windy for this class and they had a lot of fun. Personally I think this class will always be the biggest and I’ll encourage everyone to just join in and have fun, because most people are here for that reason and whether you win or loose, you were part of something great. And maybe one day you’ll win! The winner of this class was Alexander Mertens and in 2nd places Brett Green. Freestyle was always last event of the day to make sure the wind was strong enough. I am not a freestyler myself, but I really enjoy watching these guys go crazy out there, and seeing them get fired up by the amazing crowd we had cheering for them, only a few meters away from where they would execute there pretty slick moves. 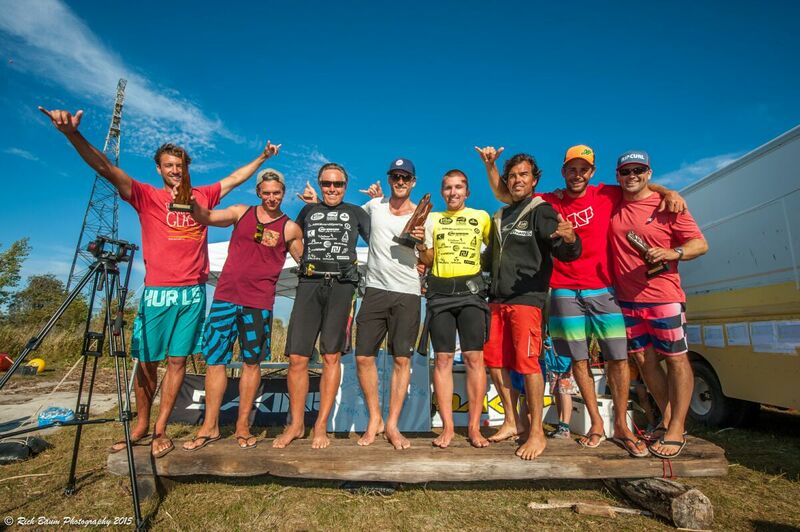 The Hood River “gang” stole the show and Tyson Poor, who has done some PWA freestyle racing as well, ran away with 1st place followed by Rob Warwick (another Hood River favorite) and other really impressive sailors like Wyatt Miller, Jordan Reid, Graham Fedderson and many more. We were also treated to great tricks from Alexandre Mertens as the only one in the Freestyle Youth category. Finally, not to forget our only female freestyle rider, Asma: well done! Really cool moves guys, and I think it was the crowd’s favorite discipline. 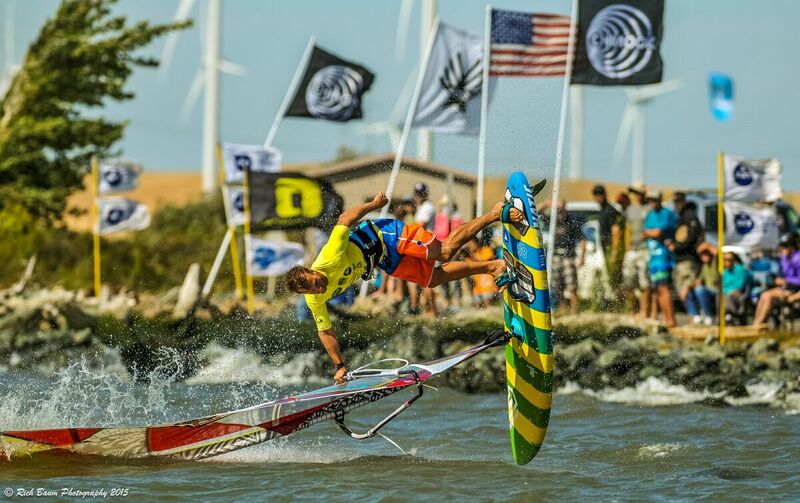 Friday and Saturday’s action was followed by dinner and drinks at the Delta Surf Shop. It was such a nice place and a really cool spot to just hang out and talk about the day’s racing. Friday night was pizza night and Sunday a nice buffet of hot food. Everyone was there and on Saturday we had a live band that actually dragged people out on the dance floor. I haven’t seen that for a while! Big thanks to Sloggin’ Johnsons for a great performance too. I have been to many events over the years but this is really one I won’t forget. I loved the place, the format and intention of the whole event was to have a festival feel to it. Setting an agenda with one hour for each discipline each day allowed everyone to enjoy and cheer for each other. 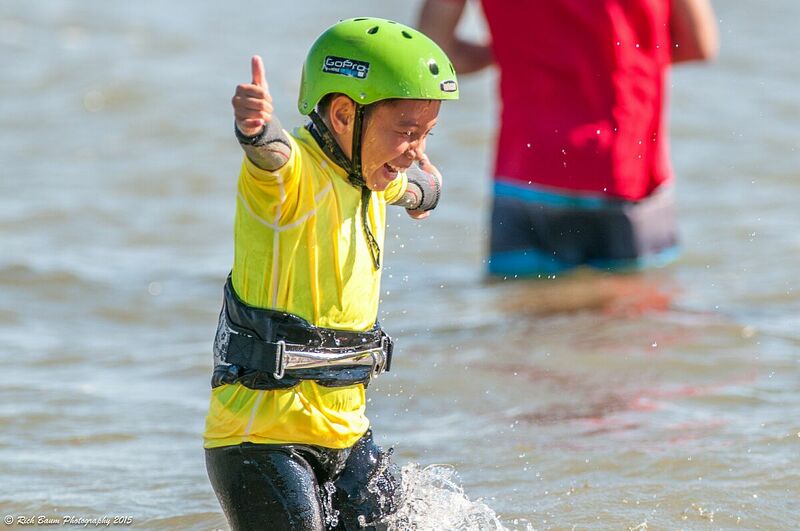 It was a unique event and personally I think any event should be like this, because it brings the community together, big or small – fast or not that fast yet, it doesn’t matter, no one cares, we are all there to have fun and get on the water. Organizing an event takes months and David, his wife Heidi, Boris and everyone else did a perfect job executing this event. There was nothing missing and everyone was treated like a king. 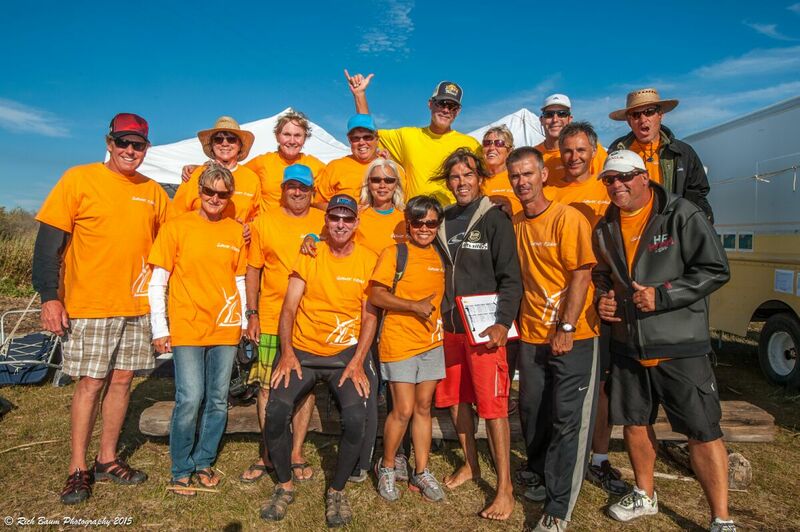 Big thanks to all the volunteers (20 of them) and smiling ladies in the orange shirts. Big thanks to Rick Cunningham (aka Tricky Ricky) and Robert Ansell for doing a great job with the microphone for every race out there, it really made it special. Delta Windsurfing Shop, RVWA (the local windsurfing organization) for hosting us and helping out on the water. All the people at the start line, the photographers and all the sailors showing up. Everyone was amazing!!! I cannot wait to come back next year, see even more people and have again a lot of fun. Thanks Rio Vista Grand Slam, you were awesome! Great article, It was a really well run event thanks to David Mertens and his wife Heidi plus the RVWA. Thank you, Jesper Vesterstroem and the rest of the professionals Tyson Poor, Wyatt Miller, Rob Warwick and Jason Voss for helping our kids with the experience of a life time. Jesper, this is a brilliant post. I may not need to post a blog on my site now! 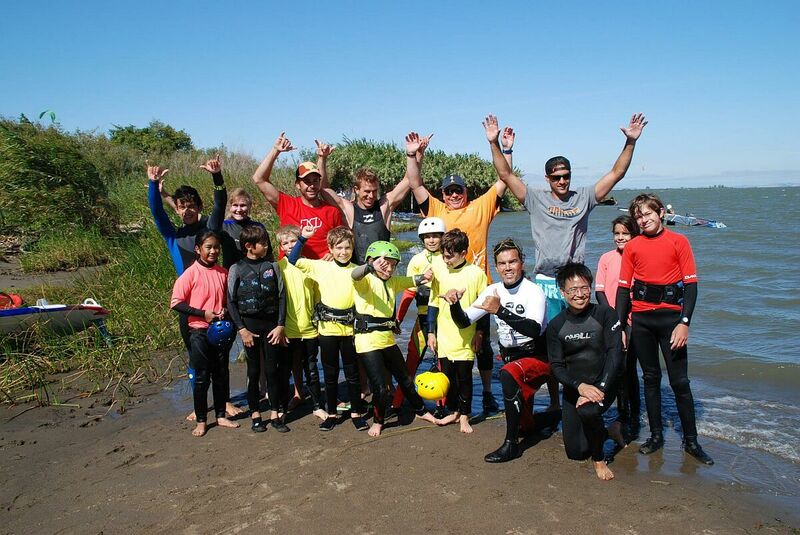 Thank you for your participation and your kind words about the Rio Vista Grand Slam. Congrats on your victory! 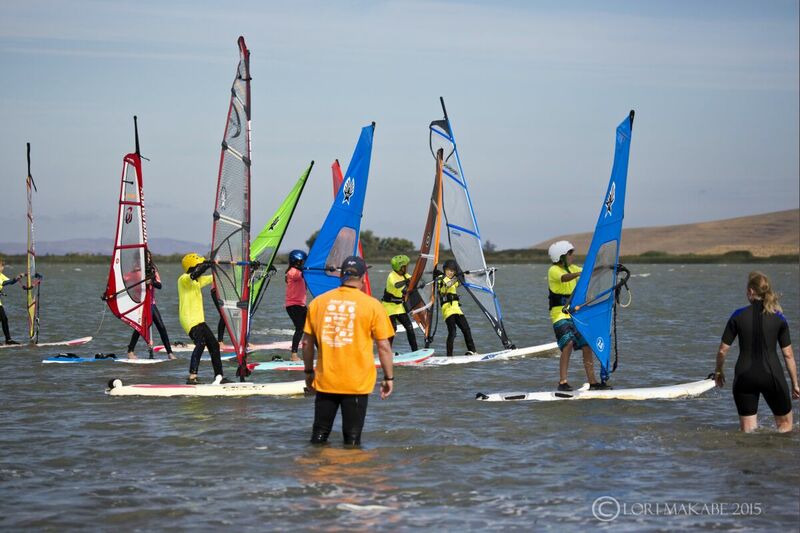 I know I am proud to be a part of this windsurf community! Hope to see you back here in the future! Thanks Jasper for the great article. We are so excited to hear what a good time you had. We loved watching you sail. Thanks for coming and we can’t wait to see you next year. Previous story Maui Race Series in Full Swing!